We can of course ask whether it is possible to eat like a caveman (in order to get the nutrients inside that our body needs) and stress caused by all elements of our 21st century existence to bend to a more relaxed lifestyle. Sounds rather utopian ..... although in combination with supplements, good sleep and exercise, this approach is successful for multiple clients with autoimmune diseases and overall pattern baldness. Vitamins of the B complex are necessary for proper metabolism in the cells. Biotin has been proven in high doses to be good for hair. MSM is rich in sulfur. Hair contains relatively much sulfur as a building material. The minerals, silicon, copper and manganese are involved in the production and growth of strong hair, strong nails and healthy skin. Horsetail is rich in silicon. . This substance is needed for healthy and strong connective tissues and strong hair, especially in later life. Skin and hair contains the highest levels of silicon. The antioxidants vitamin C, E, selenium, carotenoids and bioflavonoidsbioflavonoids protect the hair because they support the body's defenses. Vitamin A and E enrich the skin and protect it from aging and wrinkling. Both vitamins are often found in anti wrinkle creams. Hair consists mainly of keratin. Keratin Is composed of protein molecules, which are connected to sulfur. Problems with hair arise when the keratin level in the body is low, or when sulfur bridges are damaged. Substances that are necessary for the build-up of keratin are Vitamin C, biotin, silica, organically bound selenium and zinc, and sulfur amino acids such as methionin. A>	Vitamins work especially from within. This also explains when someone who eats bad or have a poor digestion is, often has dull and brittle hair. B>	Vitamin B5 provides for example flexibility, elasticity and shiny hair. C> The minerals calcium, zinc, copper and silica provide strength to the hair. D>	Biotin is important in order to help prevent hair loss. Biotin is produced by the guts, so a good intestinal flora is important. E>	Vitamin C affects antioxidant that protects your hair. F>	Vitamin E has a protective and soothing effect. G>	MSM is a form of organic sulfur, which acts as a building block for the protein of the hair (keratin). It occurs naturally in fresh, unprocessed and uncooked foods, particularly raw fish and meat. Due to the food preparation much MSM is lost by heating. MSM as "organic sulfur" is much easier absorbed by our body than as mineral sulfur. MSM also increases the speed of growth of the hair. These effects on hair growth have recently been confirmed in a double-blind study by the Oregon Health Sciences University. MSM is known as a painkiller without side effect. It is examined in that position for over 20 years. Damaging effects were not registered because it is an endogenous substance. 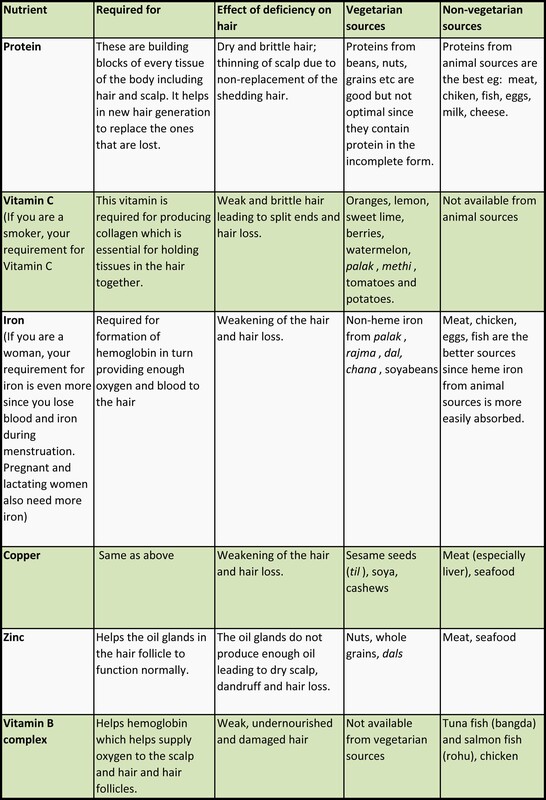 All above mentioned nutrients are in HairVitals.